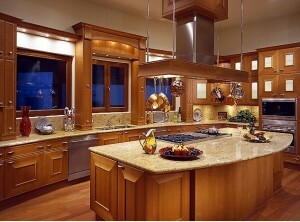 When doing a home remodel the kitchen is where you will spend the majority of your money. If possible, you don’t want to scrimp on the luxury details. As the heart of the home and where friends and family gather, your Fishers, IN kitchen deserves your attention. When preparing to spend money on your luxury kitchen make sure to consider current trends and innovations. 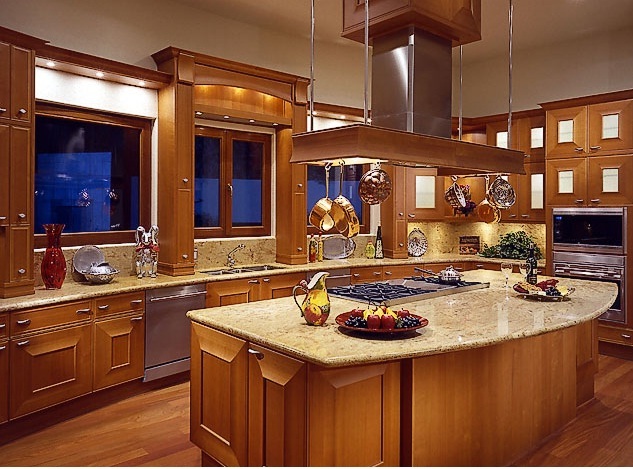 Here is a list of some must haves for your luxury kitchen redesign. The newest wall ovens not only look beautiful, but, fuction-wise can save you time and money. With better self clean options and some with wireless control these ovens are the way of the future. Specialized settings will make it easier to whip up a gourmet meal in no time. Want to boil water in a few minutes? Induction cooktops heat up much quicker than traditional gas or electric cooktops. With precise temperature control and bridge function flexibility you can cook your gourmet meals quicker and efficiently. If you are looking to add a professional touch to your cooktop? Invest in a pot filler for above the cooktop. You can save time and your back, no more hauling water filled pots. A new backsplash can dramatically transform your Fishers, IN home’s kitchen. Backsplash trends include various ceramic, glass, and even brick. The color splash will breathe new life into your kitchen. Bamboo’s popularity is growing quickly. A great eco-friendly alternative to hardwood, bamboo floors come in a multitude of prefinished options, both traditional and contemporary. Colors range from light to dark to keep up with the newest design trend, mixing light and dark elements. We hope you can benefit from some of these design ideas for your Fishers, IN kitchen. Should you decide that renovating isn’t for you and it’s time to sell your Fishers, IN home and buy new please look for a professional, someone well-versed in all aspects of the sale process. From strategic marketing, and negotiation, a qualified professional is a home seller’s best asset. Your satisfaction is the key to our success. Don’t sell your home without the help of an experienced agent. Contact a Fishers, IN real estate agent when you are ready.